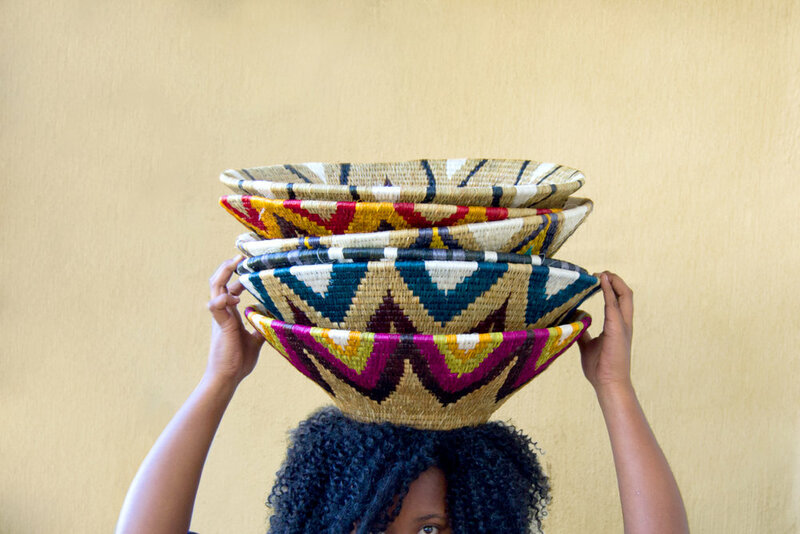 Gone Rural is a Swazi handcraft company inspired by women weavers, using creativity and design to ignite change on a community level through ethical, handmade products. Gone Rural began as one woman's vision to empower women in Swaziland's most remote areas, and has grown to offer income to more than 780 rural women artisans. Our women are skilled weavers and are at the heart of everything we do, as we aim to provide them with sustainable income, decision-making powers and creative outlets. Gone Rural is constantly reinventing the traditional weaving technique and revolutionizing the world-view of African handcraft. 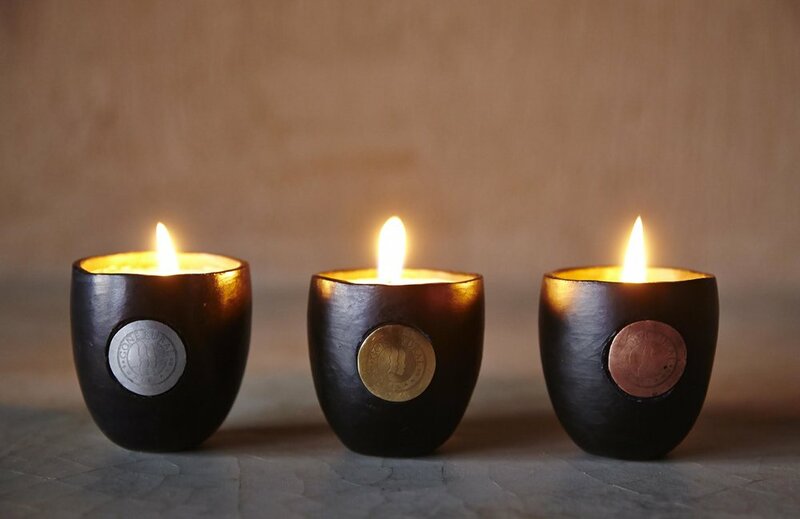 Our products range from functional home ware to gallery pieces, with traditional weaving techniques reinterpreted into new and innovative contemporary designs. 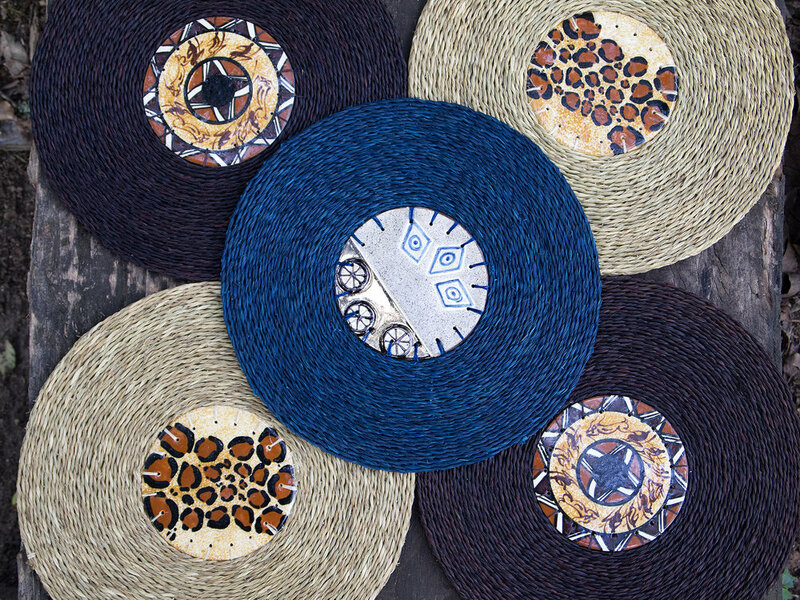 Inspired by the lutindzi grass of the mountains of Swaziland and the women leaders of rural communities, Gone Rural transforms the indigenous art of weaving into high-quality products that are showcased and loved all over the world. 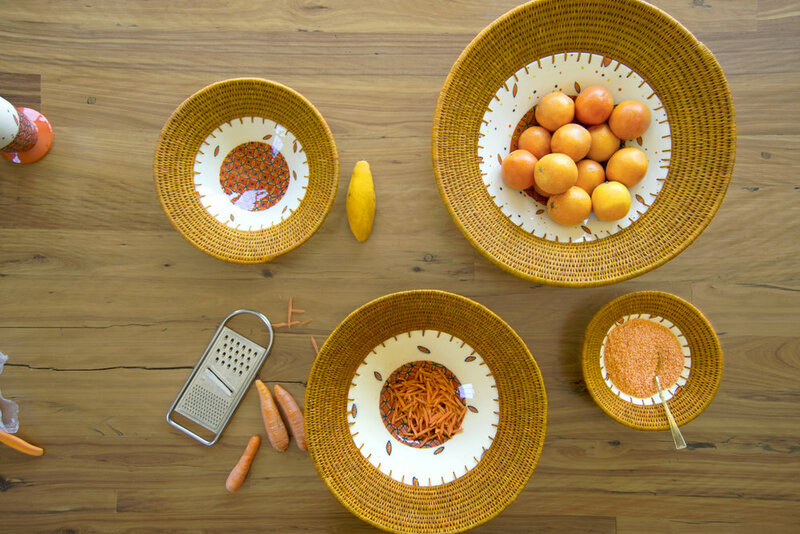 Lutindzi is the original material that inspired Gone Rural's products. Sourced from the mountains of Swaziland, the grass can be dyed a variety of colours and woven into a range of shapes and designs. It is sustainably harvested by cutting above the root and is proven to be waterproof and stain-resistant due to its strong, waxy finish. Sisal, a regenerating weed from the Lavumisa area of Swaziland, provides a fine fiber that can be dyed a spectrum of bright and light colours. Both fibers are dyed using environmentally friendly German dyes imported from South Africa. Lukhasi is a strong, thick grass which is found in the swamp areas and used in its raw form as the strengthening core of our sturdy products. A variety of other materials are sourced from our local partners to create high-end design pieces and functional products. Clay bowls and candle holders are crafted by potters to complement our woven pieces, while up-cycled fabric scraps from local textile factories are used to add a pop of colour and different textures to our products. Swazi Ceramics design hand-painted patterns and pieces to pair with our classic weaving techniques in bowls, place mats, and other home ware items. Our metal work is done by Lupondvo Design and Phinda Methula, who create attractive wire frames, aluminum bases and accessories to accompany our woven products. The process of creating our beautiful handmade products starts with the raw materials. Lutindzi is the original material of Gone Rural and is used in almost every product in our range. The journey begins when this fibrous grass is harvested by women in the mountains of Swaziland. Our production team purchases the grass and takes it back to our workshop in Malkerns, where it is dyed by a team of colour specialists. The dyed grass is then bundled and delivered to one of our 13 weaving groups with an order for specific pieces. Our skilled artisans weave the pieces from home, often teaching younger generations their techniques as they work. A few weeks later, the production team returns to purchase the finished products from each group, and brings them back to the Gone Rural workshop for packaging, labeling and set-making. The final products are distributed to our shops in Swaziland and shipped to our customers all around the world. The two methods used to create Gone Rural's products are the plaiting technique and the Lavumisa technique. Both of these traditional methods are unique to Swaziland, and have been passed on from generation to generation. 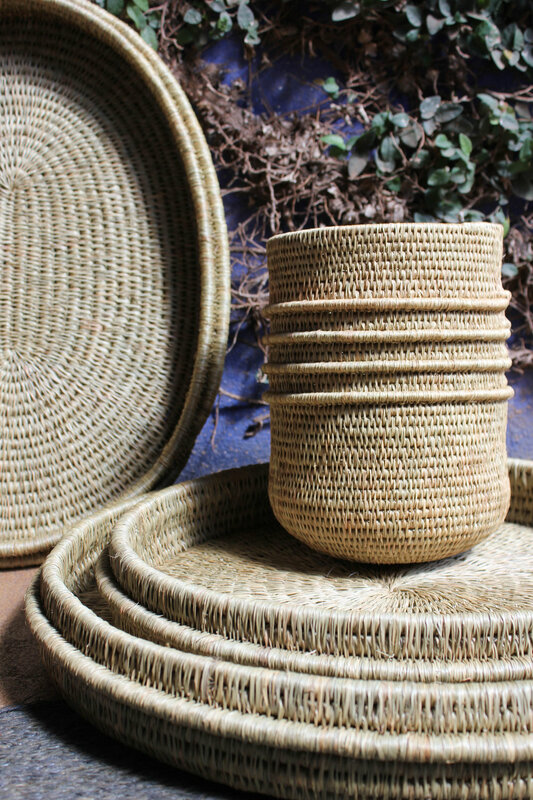 The plaiting technique, which has been used since Gone Rural's inception, is used to create some our most popular pieces, including place mats, coasters, and bread baskets. It involves using a dyed fiber, such as lutindzi, which is braided into long strands. These plaits are then woven, coiled, shaped, and sewn together to create a range of products. The Lavumisa technique is a tighter, stitched weave where fibers are spun around bundles of a stiff grass called lukhasi and sewn together to create sturdy shapes. This method is only used by groups in the Lavumisa area of Swaziland, where weavers have mastered their craft over many generations.